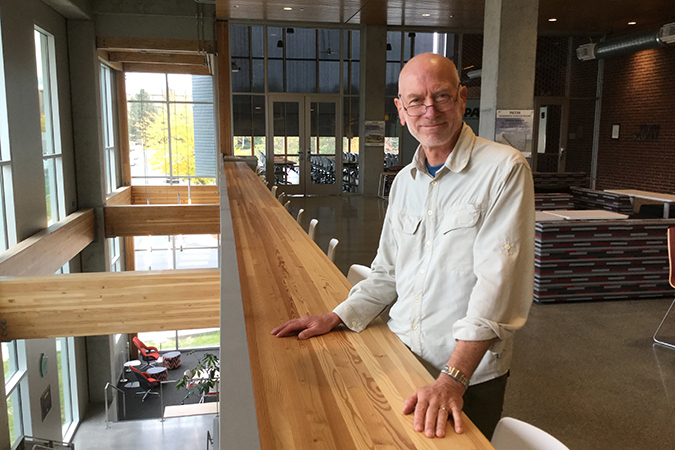 PULLMAN, Wash. – Kent Keller, professor and fellow of the Geological Society of America, has been named director of the School of the Environment at Washington State University. A WSU researcher and teacher since 1988, Keller began his career studying geological processes deep under the Earth. Today he studies the critical zone, the vital skin of Earth where rock meets air and water to support life. Keller to lead programs in environmental science, wildlife ecology, forestry and Earth science. Faculty in the School of the Environment work on many challenges affecting our living world, from climate change and the water supply to salmon survival and erosion. As director, Keller will lead efforts to grow the school’s popular undergraduate programs in environmental science, wildlife ecology, forestry and Earth science, while encouraging collaboration by students and faculty. Every undergraduate in the school joins cross-disciplinary courses, such as geology and management of natural resources. The School of the Environment is one of the few programs at WSU that is part of two colleges: the College of Arts and Sciences and the College of Agricultural, Human, and Natural Resource Sciences. Classes are taught at four WSU campuses — Pullman, Vancouver, Tri-Cities and the Global Campus — and at research centers around the state, including Wenatchee and Puyallup. A current member and former co-director of the WSU Center for Environmental Research, Education and Outreach, Keller is a member of the State of Washington Water Research Center and the National Scientific Steering Committee of the National Science Foundation-funded Critical Zone Observatory. He is also a task force member of WSU’s Long-Term Agroecosystem Research program, which studies land resources over decades. “We appreciate Kent’s commitment to the school and look forward to having him as part of the leadership team for both colleges,” added CAHNRS Dean Ron Mittelhammer. Appointed on Oct. 1, Keller succeeds Larry Hufford, professor of biological sciences, who served as interim director of the school for 16 months. For more information about the WSU School of the Environment website, https://environment.wsu.edu.